Jessica McCann provides high-net-worth families, business owners, and corporate executives with strategic wealth planning guidance in the areas of tax efficiency, estate planning, and strategic asset allocation. Previously, Jessica was the primary financial planner at UBS Financial Services Inc. on a retirement consulting services team where she provided financial planning guidance to plan participants for five years. 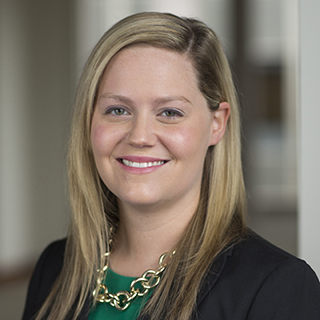 Jessica is a member of the Chicago Estate Planning Council and the Financial Planning Association. She holds the CERTIFIED FINANCIAL PLANNER™ designation.